The two-man team that led Switzerland to their first ever Davis Cup title joined to play a charity match Sunday at the Hallenstadion in Zurich, Switzerland, in support of the Roger Federer Foundation. “Match for Africa 2,” presented by Rolex, is the foundation’s continuing purpose to enable children with access to quality education. 136,000 children have already been reached out to by this year, with the goal of reaching 1,000,000 children by 2018. 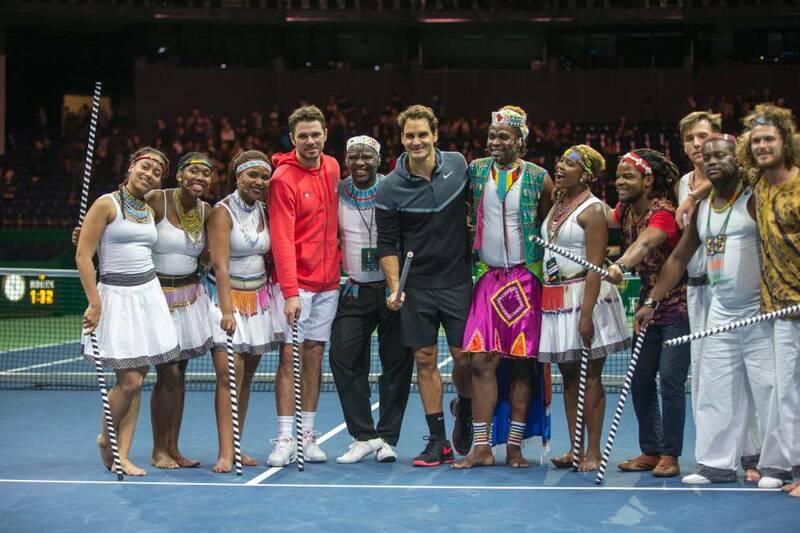 Four years ago, Roger Federer and Rafael Nadal played the first “Match for Africa” in 2010, raising 2.5 million Swiss Francs from the event in support of the Roger Federer Foundation’s charitable efforts. Federer won the charity exhibition match 7-6 6-4 over Wawrinka, in an evening filled with entertaining play, an engaged crowd, and a Swiss maestro tweener. The successful event will go a long way toward the ambitious goals of the Roger Federer Foundation to provide education to children living in poverty. The last time there was a “Match for Africa” event, the promotion efforts brought a few laughs. Roger Federer will return to Dubai for his off season training ahead of the 2015 ATP World Tour season. He begins the new year at the Brisbane International, starting January 4.